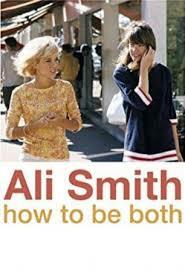 In How to be both, Ali Smith provides a masterclass in how to play with the form of the novel and stuff it with layers of meaning and yet still make it highly readable. Most of the advance publicity for this novel focused on the fact that there would be two versions of the book on sale. The reader wouldn’t know until they started reading which version they had purchased since both had identical covers. Some readers would open it to find the spirit of the Renaissance Italian painter Francesco del Cossa awakening to discover a teenager scrutinising one of his frescos. Others would begin with the story of that teenager, a 21st century Londoner known as George, who is subsumed by grief over her mother’s death. Two stories, both labelled part one, that can be read in any order. I imagine many people would decide this book was not for them based on that description, maybe thinking Smith had really written just two short stories rather than a full novel. Or worse still, querying whether this approach was simply a marketing gimmick. Neither reaction would be doing justice to this book. It isn’t a book of two distinct and separate halves. Still less is this a gimmick. Instead what we have is a finely constructed dual narrative in which each story dovetails with and reflects the other and where the very duality of structure is fundamental to a key theme in the novel — how the meaning of images and words change when looked at from different perspectives. Many of the scenes, particularly in the George part of the book, pose questions about ways of seeing. The questions come from George’s mum, a freethinking and subversive woman who challenges her two children to consider art and history in new ways. At one point George recalls a visit with her mother and young brother to the Palazzo die Diamanti in Ferrara, near Bologna. Although entranced by del Cossa’s frescos, George is less than enamoured with her mother’s detailed explanation of how art restorers sometimes discover under drawings that are significantly different than the finished work. Which came first? her mother says. … The picture underneath or the picture on the surface? Which comes first? her unbearable mother is saying. What we see or how we see? Francesco del Cossa becomes the thread that connects George to her dead mother, helping her to come out of her cloud of grief, to interpret life in a new way. Finding del Cossa’s painting Saint Vincent Ferrer in the National Gallery her first reaction is that’s it’s nothing special, that it’s looks just like any other religious painting, featuring a severe faced monk who seems to be admonishing anyone who has the audacity to stop and look at the painting. This is just one of the playful, puzzling aspects of the book. It’s a book that probably should be read one and a half times if you want to truly understand how cleverly it has been constructed I read the medieaval part first and having got to the end of part two, immediately returned to part one looking for the patterns and connections. If I’d read George’s story first, would my experience have been any different? Something I’ll never know but I have a feeling that whichever way you read it — whichever part you encounter first, you’ll be dazzled. How to be both is published by Hamish Hamilton. It was short listed for the 2014 Man Booker Prize. And if this doesn’t win I will be astounded. Posted on October 14, 2014, in Book Reviews, Scottish authors and tagged Ali Smith, Man Booker Prize. Bookmark the permalink. 11 Comments. I read The Accidental a long time ago and liked it without quite understanding why. I think I would have a similar experience with How to be Both! My library has this one on order and I’m third in line for it. I’m really looking forward to it. So which version did you read? And do you think it makes a difference in how the whole novel comes together? I have this waiting for me at the library and I must remember to pick it up on Thursday or I shall lose it. It sounds exactly my sort of book and I can’t wait to see if I am as enthusiastic about it as you are. There is the added excitement with this one of not knowing which version you will get. I’ll look forward to your thoughts on this one ..
Oh, so you are rooting for this? I can only speculate because none of the shortlisted works are available here in our country. Based on the reviews that I read and the podcasts that I listened to, I think it’s a toss among Flanagan (history), Mukherjee (politics), and Smith (art). Sounds like you really liked this one. It’s getting its share of press, but it’s not to my taste. But in spite of that, I always appreciate the review.